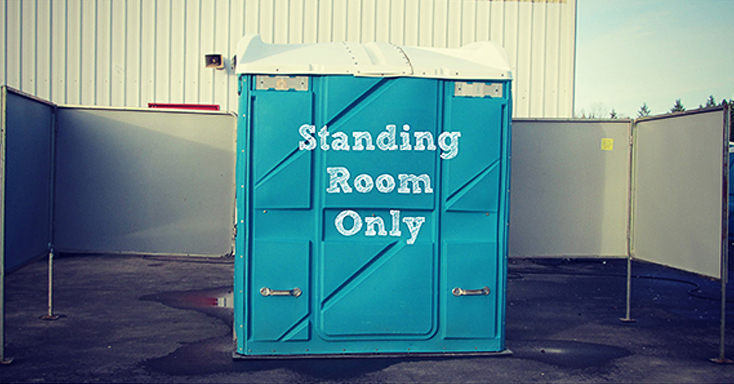 The Standing Room Only unit is ideal for high traffic events, particularly those where a large percentage of alcohol is consumed. This unit is the size of an ADA accessible restroom, and features 2 trough style urinals on opposing walls. There are 2 open entrances which allow for a simple and quick entrance/exit from the unit. 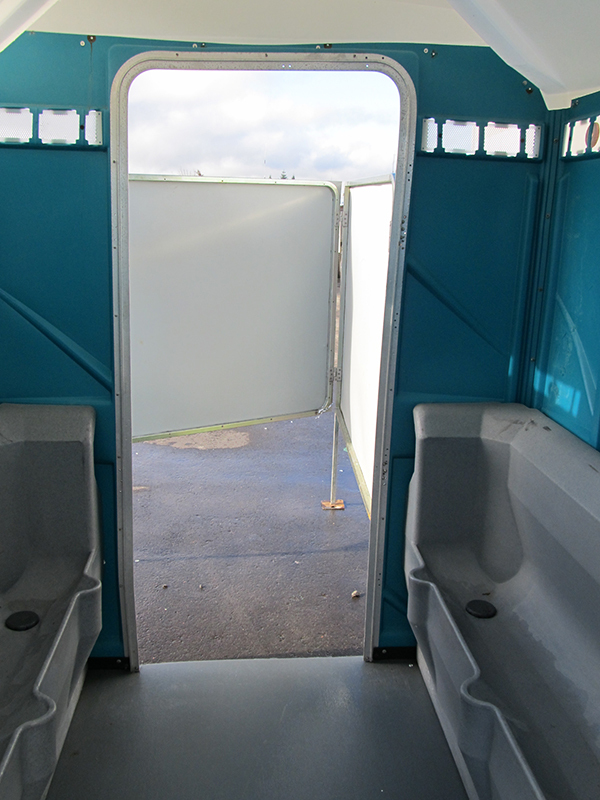 Two privacy screens are included which shield the occupants from the public. One SRO unit replaces 6 standard units. Perfect for beer gardens and sporting events. 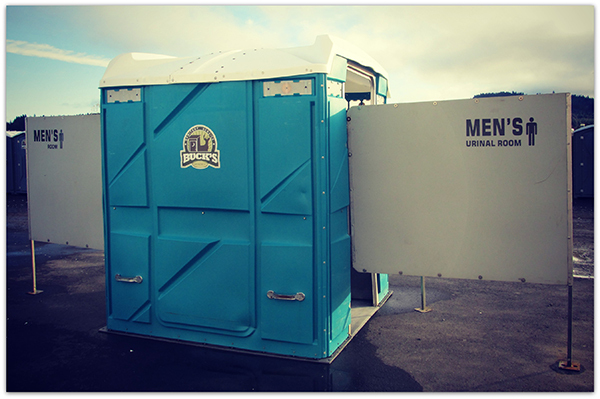 Just to be clear – this is a men’s only restroom and will only accommodate urine.